A NATO report has awarded a high probability of detection and classification to a Synthetic Aperture Sonar system on board an autonomous unmanned vehicle platform for unmanned mine detection at sea, says Thales. Thales demonstrated its SAMDIS Multi-view Synthetic Aperture Sonar (SAS) system integrated on board an ECA Group A27 autonomous underwatervehicle (AUV) platform, during a mine warfare sea exercise held at Zeebrugge Naval Base during the Belgian Defence Technology & Industry Day in June this year. According to Thales, an official report from NATO’s Centre for Maritime Research and Experimentation (CMRE) on the trials, indicates an excellent measured performance at sea for the sonar, featuring a very high probability of detection and classification associated to a low false alarm rate. Thales says the results are significant given that the sonar provided a high combined level of detection and classification needed to counter modern mines. By defeating static underwater threats while reducing human exposure, Thales says its autonomous mine-hunting systems give strategic, operational and tactical freedom of manoeuvre to help navies move safely along strategic routes and through choke points. 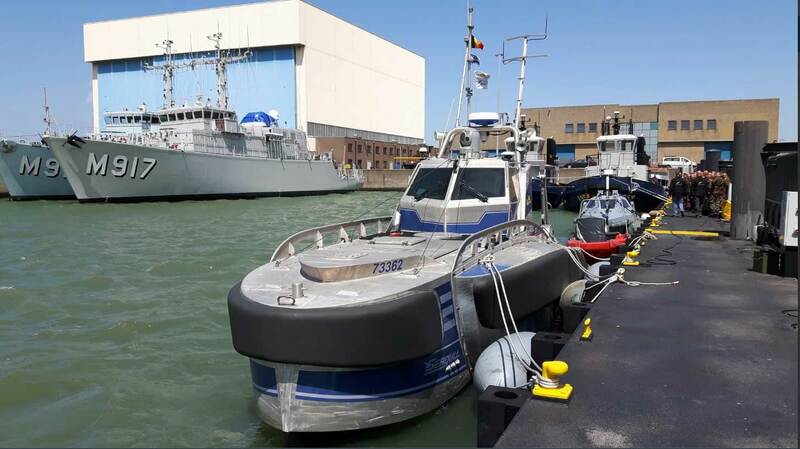 In the framework of the Belgian/Dutch MCM capability replacement programme, Thales will rely on its multi-domain pedigree to offer solutions in mine countermeasures' mission system integration and naval combat systems. This will ensure a strong level of local industry involvement in terms of system development as well as future system support. 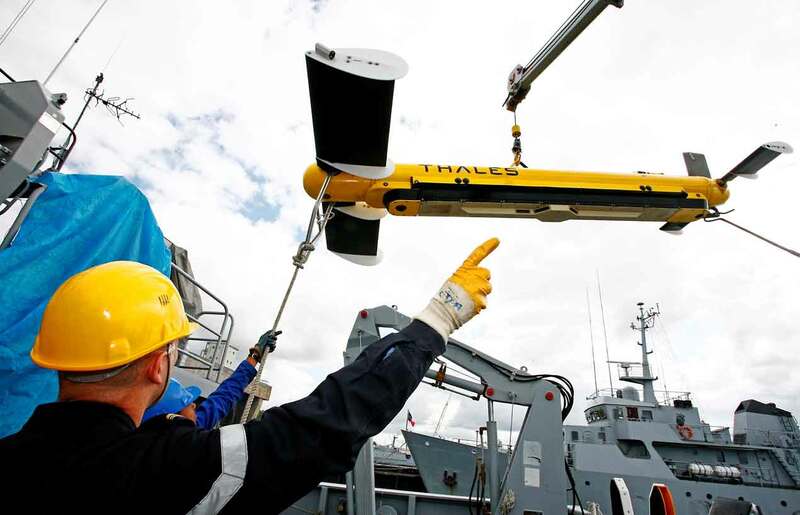 Since 2016, Thales has performed demonstrations involving its Halcyon unmanned surface vessel towing its Towed Synthetic Aperture Sonar (TSAS) off the North Sea Coast of Zeebrugge in Belgium, and in Northern Scotland for the Royal Navy Unmanned Warrior exercises. At the end of the 2016 trials in Belgium, Thales says it was already well assessed for detection performance against all mine types. Thales is the prime contractor of the Maritime Mine Counter Measures (MMCM) programme, the only European project aimed at developing, concretely, a prototype autonomous system for detection and neutralisation of sea mines and underwater improvised explosive devices, under a cooperation agreement between France and the United Kingdom. “The technology is maturing, but MMCM is the only programme that has sought to develop a complete end-to-end system based on a full user requirement, and to test it in real environmental conditions against realistic MCM operational scenarios,” an MMCM programme manager stated. The MMCM programme will deliver two prototype/ demonstrator systems; one for France and one for the UK; and the contract includes an option for a two-year period of in-service support, during which the Marine Nationale and Royal Navy will evaluate the delivered systems. The UK demonstrator will inform requirements for the UK’s Mine Countermeasures and Hydrographic Capability (MHC) programme. A key challenge, says the programme manager, is to demonstrate that the capability can be delivered with the necessary level of confidence, including mission survivability, availability and reliability. The MMCM programme enables the challenges to be tested, understood, known, overcome and fully assessed before capability is delivered enabling confidence to grow in a transition between current and future capability. At DSEI in London in September, the UK Royal Navy’s First Sea Lord, Admiral Sir Philip Jones, said that an unmanned system for mine countermeasures would be deliverable in the next two years.